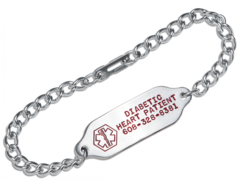 Our stainless steel medical id alert bracelet has red fill so it stands out. Available with 5 lines on both front and back. The tag meausres Tag size is 9/16" x 1-3/4". 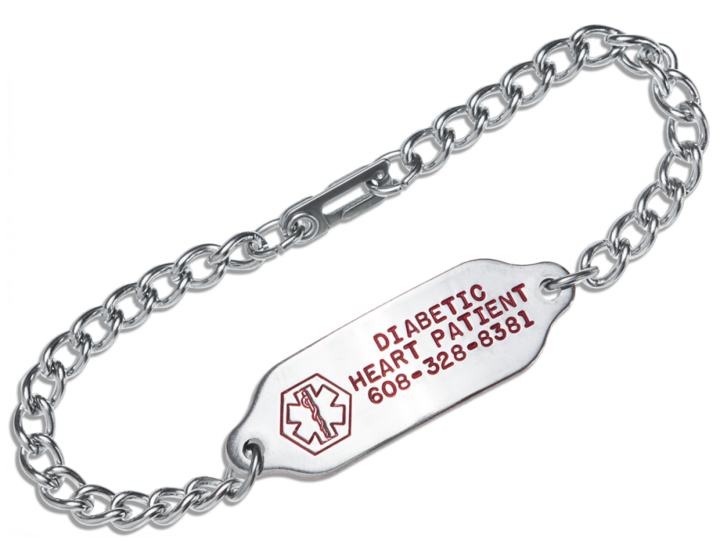 This medical id bracelet includes a Stainless Steel chain with sister hook or clasp or you may choose a lobster clasp at additional cost. This bracelet is great for kids, tweens, men, women or teens!